Websites that have made the mistake of hiring some shady SEO company to buy bad backlinks for their website can lose almost all of their rankings. In this post, we will go beyond on-site optimization and explain a bit more about bad backlinks for your website and how to clean them up. 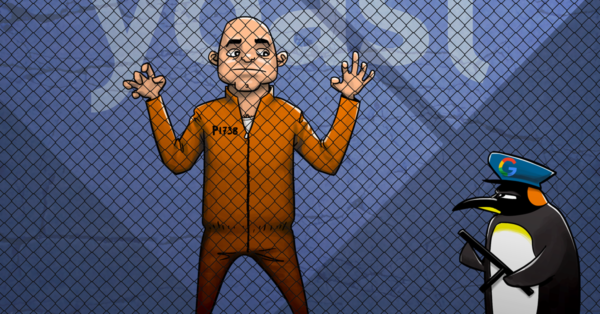 Although buying bad links might give you short-term wins, it will backfire in the end; you’re at risk of a Google Penguin penalty. Unnatural links indicate that your website might not have the quality or content to be interesting enough to get proper backlinks on its own. At the end of this article, we’ll mention a way to get great backlinks without buying any. If a website has a ton of articles that lack all coherence, chances are the website is set up solely for the purpose of linking other websites. If the website is a WordPress site, most of the times a default WordPress themes like TwentyEleven is used. These websites are usually not linked from other websites or are part of an odd link network designed just to link these lousy websites. 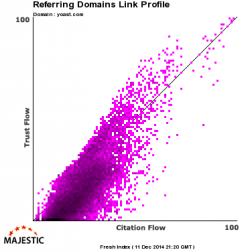 Trust flow refers to the authority given to the website that links to you (by MajesticSEO, based on a number of chosen factors), and Citation flow refers to the number of links the website has. Low-quality backlinks come from websites that are low on both trust and citation. We get dozens of these on a daily basis, here at yoast.com. Bots populating your website’s comment forms telling you ‘great article, love the info, hope you can elaborate more on the topic soon’. Personalized comments even, including author name. Spambots get more intelligent by the week, unfortunately. We’ve reviewed a site that was run by an older man replying to all of these comments. He was thanking them for the kind words. Don’t get fooled. Comment spam links are bad for your backlink profile. In general, one can assume the most backlinks to a website are linked using the website name as the anchor text (link text). The URL itself is also often used. If your website has a huge number of websites linking to your website using exact keywords, as the shady companies we mentioned tend to do, that looks very suspicious. 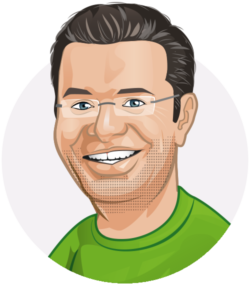 If our main backlinks would have Yoast SEO Premium as an anchor, that will ring some alarm bells at Google. 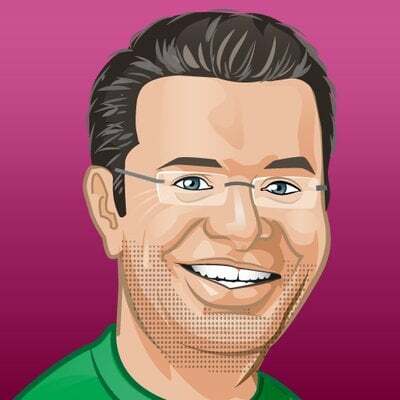 The most used anchor for links to our site should be ‘Yoast’ in a natural link profile. And it is, of course. Usually, websites that are just set up for the links have content that just doesn’t make sense, or is scraped from related websites. Some black hat companies create sites per subject, to make it look like the links are on related, quality websites. In most cases Google Panda will hit these sites eventually, resulting in yet another low-quality backlink for your site. Duplicate content is a sign of low quality in most cases, and that is (among others,) what the Google Panda updates are about. Of course, there are more and more specific indications that a backlink is of low quality. Alan Bleiweiss listed some more in his article How To Clean Up Bad Backlinks and Establish Trust With Link Vendors (2013, still valid IMO). This is the easy one: find the contact details of the website owner and ask him to remove the link. Don’t demand the other website to take the link down, but ask this politely. That usually works better :) However, you most likely also face with webmasters who ask you to pay for link removal or who don’t reply at all. In such cases, you should disavow the unwanted links that can’t be removed. If you have just too many backlinks you want to get rid of, or webmasters aren’t responding to your call to remove the link, you can also disavow these links. That’s basically telling Google you prefer these links not to be taken into account when assessing your site. Now there is one thing I have to warn you about: you will probably lose traffic. Your website will have fewer links pointing to it after this, so fewer people will visit your website via these links. In the case of disavowing, the links will still be there, but the sudden drop in backlinks (bad or not) will trigger something at Google, telling it your website is less interesting. That’s the signal Google gets when these links disappear. It will work out in the end, but traffic will probably go down at first. There is no telling how much and how long, to be honest. LinkResearchTools (LRT) provides excellent value for money when it comes to cleaning up your bad backlinks. They have helped us out on more than one occasion, where one of our customers had made the mistake of buying bad backlinks. Especially when Google Search Console is telling you that you have bad backlinks via their Manual Spam Actions, you want these links cleaned up as soon as possible. No matter the cause of these backlinks! But also, keep in mind that you need a tool that shows you as many links as possible. This way you have a chance to see all the links Google knows about. For $649, LinkResearchTools offers their Superhero plan. This will include their Link Detox Boost, Link Alerts, Competitive Link Detox, and many more tools. You can analyze up to 600.000 links with this plan but also have the chance to upgrade to a plan that fits the size of any domain, even multiple millions. In the philosophy of LRT, link audits are about “all or nothing”. They will support you finding the right plan so that you can give your domain a complete audit. They do that by combining and re-crawling link data from up to 25 different link data sources. Great step-by-step break-down, Michael. We work with local businesses in Australia and something we always advise is to attract and acquire links from trusted Australian-sources. I think this is one of the more important aspects to link building, trusted geo-located links. We’ve also used LRTs in the past and can vouch for it as well. It’s a bit expensive for small businesses though. Ahrefs or CognitiveSEO might be better alternatives for people who are on tight budgets who are still looking for an outstanding link audit tool. Hi Daniel, thanks for the useful addition! Thank you For giving simple method to remove backlinks , now i use it and Link Detox is very good tools ! I found this article interesting – especially the part indicating that traffic may decline upon cleaning things up. I found this to be true on my blog when I eliminated questionable or bad links. Even the legitimate comments have dropped off. I use a free tool to check everyone that leaves a comment on my blog: http://www.bad-neighborhood.com/text-link-tool.htm – and if they don’t have a website that I can check I delete the comment. The bad link detector will give you a very good idea of the quality of the website link attached to your site – although you have to make some judgement calls. Thank you for sharing the simple method of removing bad links. So if your competitor creates tons of bad backlinks to your website then he can take you out of the competition? And us. It’s been like that for years now, btw. And luckily not a commonly practiced, costly technique. Very good written information. It will be beneficial to everyone who utilizes it, including me. Someone is performing negative SEO on my blog. Daily, they are making lots of low-quality backlinks for my site. I am using the Google Disavow tool and uploading all these bad links to it. Am I doing right? I have also read that Google won’t consider low-quality links and there is no need to disavow them. I am confused! Thanks for your comment, Srinivasa. 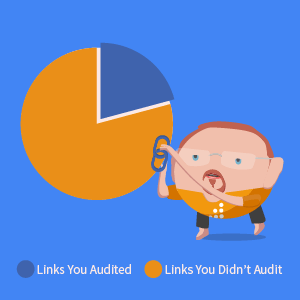 Low-quality links look spammy and might hurt your link profile / Google’s take on your site. I wouldn’t bet on these links growing in amount and it staying unnoticed. It’s a tough job, but clean them up, or hire a specialized company like LRT to help you in this process. Same thing happened to my website as well. Someone created tons of backlinks from Russian websites. I created Disavow file with domain: tag and submitted to Google to consider. Now I do not know how to stop other to create bad links for my websites.